Since forever, I’ve wanted to be a teacher. But my mom always told me I was going to be a lawyer. Coming to Clemson has meant figuring out that we were both right. Meanwhile, I’ve been able to make the most of my time in a place that truly had everything I was looking for in a college: small campus, great variety of courses, amazing athletics, beautiful campus and a big-family atmosphere. I came here through the Call Me MISTER® program, majoring in elementary education, but I’ve also been able to pursue a history minor. That’s meant taking some of the political science courses that will serve me well when I go to law school in four or five years — after I’ve had an opportunity to teach and serve in an elementary school setting. My freshman year, I took part in the Clemson Cup public speaking competition. My topic addressed the transition we were facing between a retiring president and a new one. I won, and that was an amazing opportunity that I will never, ever forget. For one thing, I was the first freshman to ever win. Also, earning the Cup gave me the chance to speak at Clemson’s commencement, which was incredible, in no small part because it showed me how far I’ve come with my public speaking: When I was in high school, I took part in a Future Business Leaders of America speaking competition. The first year I competed, I came in last place. The second year I was determined to improve, and I won, which allowed me to represent the entire state of South Carolina and place 27th nationally. I’m sure my public speaking skills will come in handy as an attorney. In the meantime, I’m enjoying every second of college life, whether it’s giving campus tours, cheering on my Tigers as a member of Central Spirit, serving as an Orientation ambassador or just hanging out on Campus Beach on a Friday night. When Randy Smith graduated from Clemson in 1966, he had some unusual options to consider. A lineman for Coach Frank Howard, he was drafted by the New York Jets (AFL) and the Atlanta Falcons (NFL). 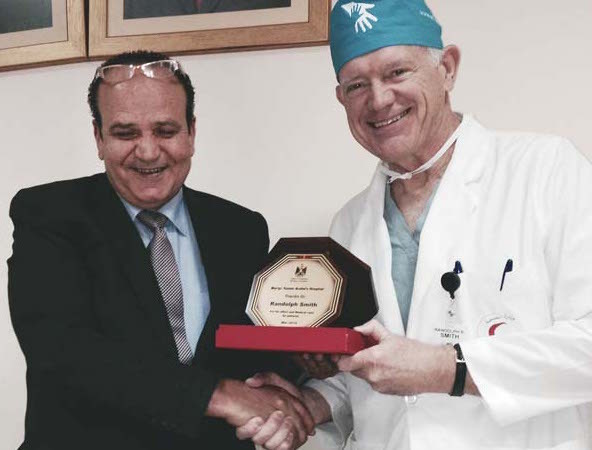 This spring, he traveled back to Palestine, his ninth trip to the region, where he performed surgery at the Ramallah Medical Complex on children with burns and congenital deformities. The Palestine Children’s Relief Fund honored him in 2013 for his dedication and work in that area, one of a number of local and international recognitions he has received for his humanitarian efforts. This past year, his high school, Richmond Academy, inducted him into their Hall of Fame. Smith is a founder and board chair of Georgia Bank and Trust and chair emeritus of University Health Inc., the governing board of University Hospital in Augusta. It’s not all just work and service, though. In 2014, Smith completed his fifth Iron Man Augusta competition, which involved swimming 1.2 miles in the Savannah River, biking 56 miles in South Carolina and running 13.1 miles in downtown Augusta. 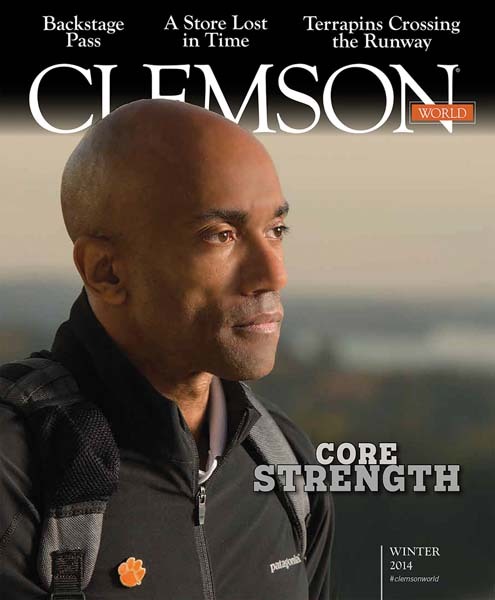 Living by the motto, “getting is in the giving,” Smith has been recognized for his humanitarian work and civic involvement by Clemson as well, as a recipient of an honorary doctorate (1997) and the Distinguished Service Award (2008). 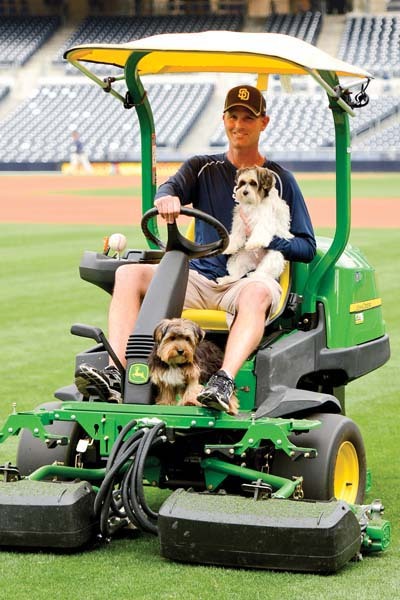 Luke Yoder ’94, director of field operations for the San Diego Padres, is a behind-the-scenes star. On a hot July day in 2011, Luke Yoder was watering the infield dirt to keep the dust down — as he does before every home game — when a grounds crew member caught his eye. The man was gesturing frantically, pointing at a mound of turf that was rising, alien-like, near the left field line. Yoder dropped his hose and ran over to it. It was 3:15 p.m. The game was due to start at 3:35. On reaching the spot, he saw that the bubble, now two-feet high, was surrounded by an 8-by-4-foot square of wet turf, and when he bent down and touched the area, it rippled like a water bed. It was now 3:20 p.m. The stands were filled with spectators and the team was warming up. Yoder ran and shut off the water main to stop the pressure from building. “Then I switched into surgical mode, snatched a knife and made a four-inch cut in the bubble. Water immediately gushed out,” Yoder recalls. It was 3:25. As the groundskeeper reached into the hole to determine its depth, his arm sunk up to his shoulder. “I grabbed four bags of Diamond Dry, a drying agent that’s like kitty litter, and filled the hole with it,” he says. Yoder prepared to tell the umpires to delay the game. If that happened, it would make the news on ESPN, and even though the problem with the turf wasn’t his fault, Yoder’s bosses would not be happy. Even more important, the area could be a safety hazard. A player stepping into a 3-foot hole could be badly injured. With six minutes until game time, Yoder stood for the national anthem. Then he tamped down the Diamond Dry, checked that it was packed solid, and breathed a sigh of relief as he hurried off the field. This was definitely not a typical day at work. As a kid, Yoder never thought he’d end up working for a ballpark. The summer of his junior year in high school, on a family visit to his grandfather’s farm in Ohio, an uncle took him to the elite country club where he worked as golf course superintendent. “I was amazed at how meticulously the fairways were maintained. They looked like carpets,” Yoder says. He had a lawn cutting business at the time, and his uncle was the one who suggested that the teen study horticulture because he knew his nephew liked being outside. Yoder decided to study horticultural turfgrass management at Clemson. Because he wasn’t sure he’d get in, he and his parents were thrilled when he got accepted. Between the biochemistry and physiology, the coursework didn’t come easy, he admits. But with discipline, his GPA rose every semester. Yoder worked for a golf course his first three summers during college, and during the year he worked at the turfgrass research plots on campus, which gave him a chance to apply what he learned in class. “I assumed I’d work on golf courses, like most students in my major at the time, but my adviser suggested I try sports turf, or athletic turf management, to make sure I wouldn’t be missing anything,” he says. As it turned out, the summer before he graduated in December 1994, he worked for the Greenville Braves and fell in love with ballparks. His first job was as head groundskeeper with the Sioux City Explorers in Iowa. Then he moved to the Iowa Cubs, followed by the Pittsburgh Pirates, which proved to him that sports turf could be a viable career. He’s been with the Padres for almost 12 years. Turfgrass management requires knowledge of both art and science; the former, for the design and aesthetics of both the grassy areas and the dirt, or skinned areas, and the latter, because of diseases and insects that can affect the grass and plants. The Clemson alumnus gained his artistic skills on the job and his scientific knowledge from his college classes like plant pathology and ornamental plant diseases. Ask him his favorite part of the job, and he rattles off a litany of favorite tasks instead. Being outside every day. The smell of fresh-cut grass. Getting his hands dirty. Traveling to the Padres’ minor league fields, which takes him to places such as El Paso, Texas, and the Dominican Republic. “Just showing up to the ballpark every day is something a million people would love to do, and it never gets old. 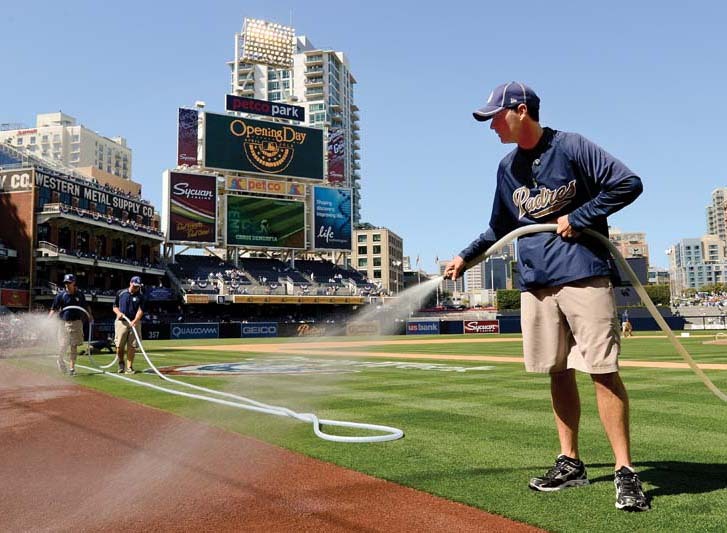 I get to work on, be in charge of and mold the biggest parcel of natural grass in downtown San Diego. It’s like a canvas for our artwork,” he explains. Baseball has more of a home-field advantage than other sports, Yoder maintains, because aspects of the field can be manipulated to give a team a leg up. “Take the grass,” he says. A football or soccer field is all grass; it doesn’t make much difference how high you cut it. But if you cut a baseball field one quarter of an inch higher or lower, it affects how far the ball will roll into the infield and favors different pitchers or hitters. Then there are the skinned areas, Yoder continues. In baseball, 70 percent of the field is played on these areas, so you might make the area in front of home plate extremely soft if you have a sinker-ball pitcher on your team. Since batters will be more likely to hit ground balls, that can help with getting an easy out. Or, if you have a batter up against a sinker-ball pitcher on the other team, you could make the area hard so your team has the advantage. Yoder may not wear a Padres uniform, but he says that “to be able to work with the players and give them an edge” makes him feel part of the team. And the team, in turn, would likely describe him as a most valuable player. Yoder, whose family is from Greenville, may live on the opposite side of the country now, but he tries to get home for at least one Clemson football game a year. If there’s one thing he has taken with him, it’s his Clemson pride. His sister and two brothers also attended Clemson, and if his math is correct, he calculates that for 16 years straight there was a Yoder attending the University. The 2015 Golden Tiger Reunion will be held Thursday and Friday, June 11–12, at the Madren Conference Center. We will be celebrating the class of 1965 with the Golden Tiger induction ceremony. Make your plans to join us this summer! Call the Martin Inn at 888-654-9020 for reservations. 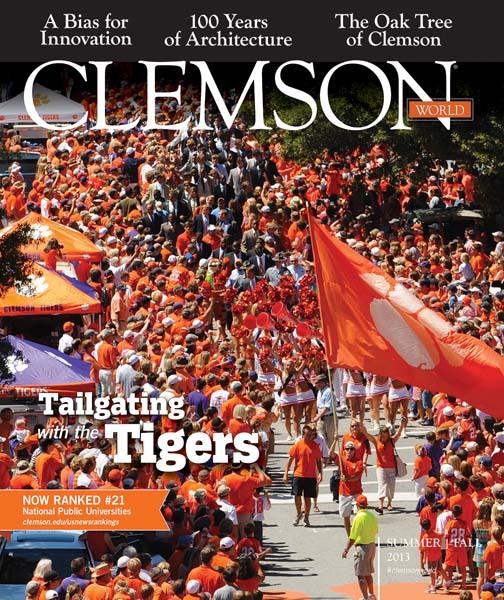 For more information and registration details, go to alumni.clemson.edu/reunion. Join us to kick off the school year at the annual Welcome Back Festival, sponsored by the Alumni Association and the Student Alumni Council. College Avenue is closed down and local restaurants, businesses and University organizations line the street with food tastings, prizes and merchandise from more than 70 vendors. Entry is free; food and merchandise can be purchased with 50-cent tickets sold to raise money for the Student Alumni Council Endowment Scholarship Fund. If your company is interested in being a vendor, contact Stewart Summers at 864-656-5653. Join us for the 6th annual Alumni Golf Tournament on Friday, September 11, 2015, at the John E. Walker Sr. Golf Course on the Clemson campus. Limited to 20 teams, this tournament is an opportunity to compete for bragging rights as the best Clemson Alumni golf foursome and the chance to represent Clemson on the national stage at the Acura College Alumni Team Championship at Pinehurst in October. Sponsorships also are available, beginning at $250 and ranging to $5,000. For more information and to register, contact Randy Boatwright at brandol@clemson.edu or visit alumni.clemson.edu/alumni-golf-challenge. 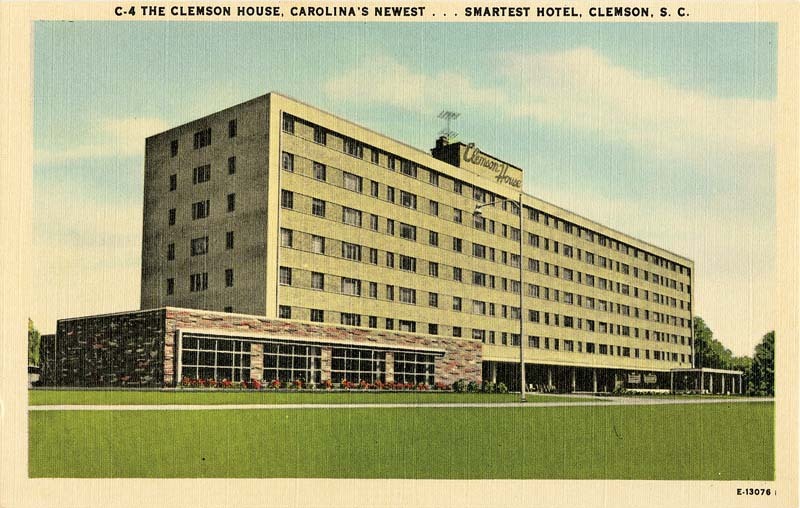 When it first opened, Clemson House featured a large dining room on the first floor, a club (non-alcoholic) on the lower level, seven stories of rooms and apartments, and a penthouse with the best view in town. Originally intended to house faculty, staff and retired faculty, the apartment-style hotel was first pressed into limited service for student housing in the early 1970s. The barbershop on the first level has weathered six decades of changing hair styles, offering both haircuts and conversation. Clemson House was also home to a radio station and broadcasting facility from the 1950s until the early ’80s. In 1973, President Robert Edwards recommended changes to transition Clemson House into a dorm, but said that full-time residents could remain as long as they wished. None had the staying power of architecture professor Joe Young, who had been the first full-time resident in 1950. After five decades, Young said his goodbyes in 2000. The penthouse is named for him, as well as “Joe’s Place,” the bar located at the Madren Conference Center. * Note: Corrected on 5/28/15 to reflect that the radio station housed at Clemson House from the 1950s until the early ’80s was not a student station. Thanks to Van Fair (the “F” in WSBF) for that correction. Senators and representatives who are also Clemson alumni came forward for the proclamation, read by Senator Thomas Alexander ’78 in the Senate and Representative Gary Clary ’70 in the House. Legislators joined alumni and friends for a festive evening gathering at Senate’s End featuring remarks by President Jim Clements, coach Dabo Swinney and board chair David Wilkins. Ten years ago, Clemson’s first Duckenfield Scholar, Lindsay Green-Barber, went abroad to study at Oxford. This spring, she and the 16 other Duckenfield Scholars have traveled back to Clemson to return the favor. 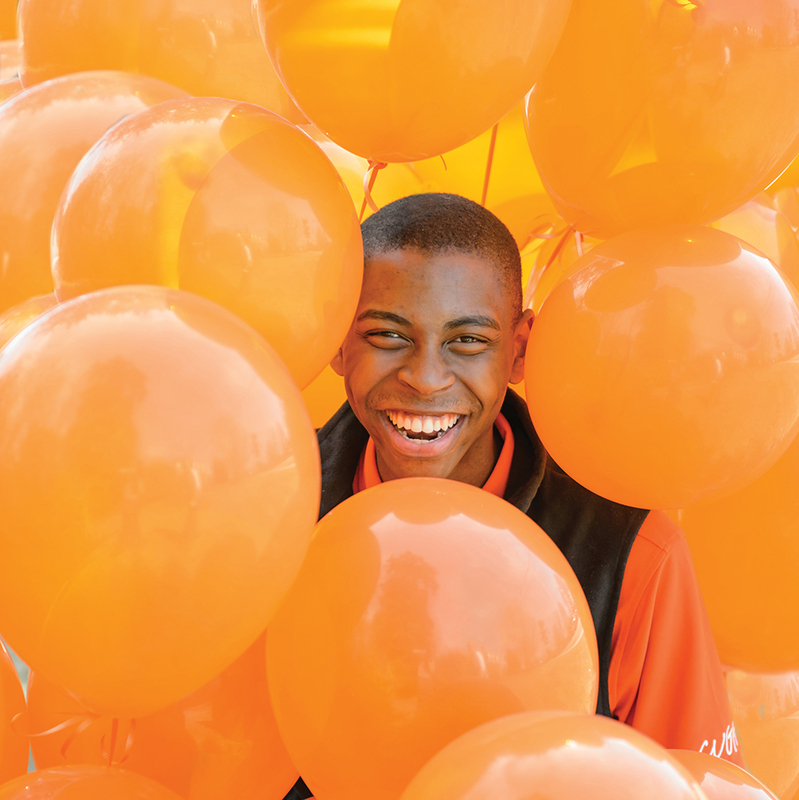 The group of alumni planned and executed a Clemson Global Symposium, held in March, to celebrate the anniversary of the founding of a program they consider life changing. Oxford University professor Ken Addison provided the keynote address. 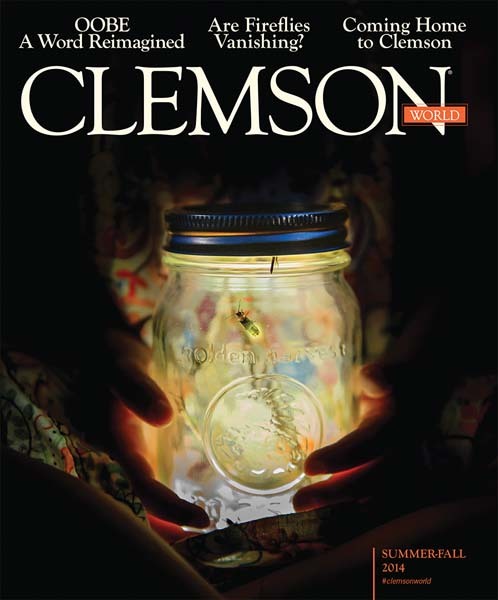 The Christopher J. Duckenield Scholars Program was established by the family and friends of Chris Duckenfield, who was Clemson’s vice provost for computing and information technology. He was also an alumnus of St. Peter’s College of the University of Oxford. The program enables one or two members of the Calhoun Honors College, who demonstrate extraordinary talent, motivation, commitment and ability, to attend St. Peter’s College. Duckenfield Scholars also are expected to demonstrate the ability to adapt to the tutorial style of learning that exemplifies university education at Oxford and elsewhere in the United Kingdom. In the heart of campus, strategically located next to the R.M. Cooper Library and across from the Class of 1956 Academic Success Center, a new building is taking shape. It’s not tied to a particular college or department but rather designed to be an incubator of creativity and innovation. The Watt Family Innovation Center, projected to open in the spring of 2016, has announced two new founding innovation partners: SCRA and Philips Lighting North America. SCRA, an applied research corporation with more than 30 years of experience delivering technology solutions, will provide $3 million for new cross-discipline operations and sustainability for supporting extended network and operations, including equipment to establish virtual connectivity between the Watt Family Innovation Center, SCRA Innovation Centers and research universities in the state. This commitment includes science and technology advancements, special projects and support for faculty, staff and students, curriculum and operations of the Watt Center. Philips Lighting North America, a global leader in lighting that has been focusing on innovative ways of using light to enhance people’s lives for more than 120 years, has made a cash gift to support research related to Philips Lighting technology and a gift-in-kind of state-of-the-art lighting products to equip and furnish the interior and exterior of the Watt Center.